One of the big names in high-end kitchen appliances — the Viking range company — seems to offer the widest variety of colors to choose for your refrigerator, stove, oven and dishwasher. 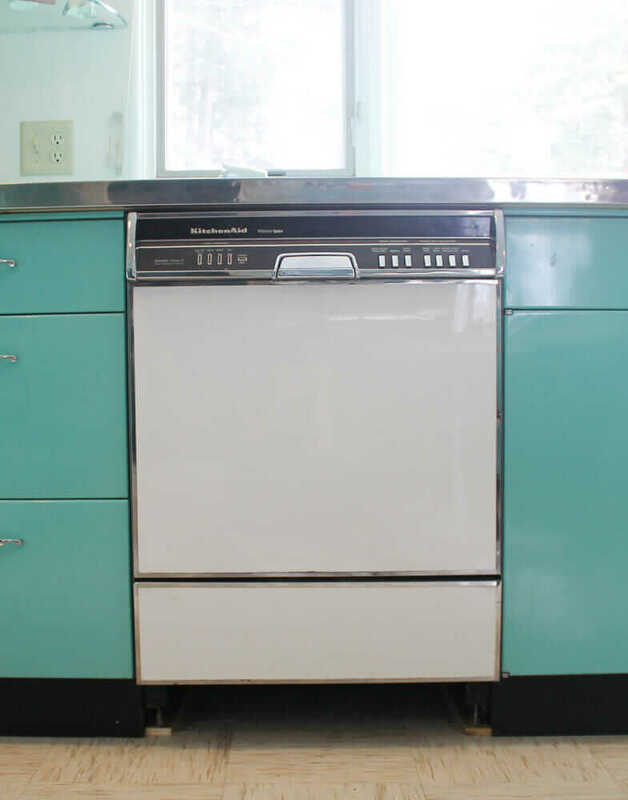 Including: Yes, some pretty decent proxies — well, close as I could find — for famous (or infamous) postmodern kitchen appliance colors including harvest gold, avocado green, Brady Bunch orange and even poppy — a color that the industry made a big, failed push to introduce in the early 1970s. Of course, Viking does not use these names. Theirs are the more socially acceptable Golden Mist, Mint Julep (which I acknowledge is not a good avocado, really), Pumpkin and Apple Red. 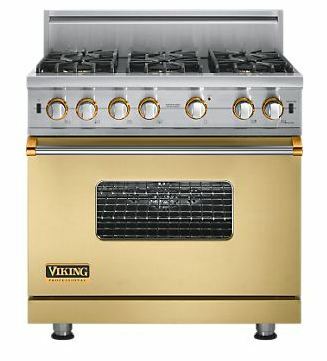 And of course, these appliances are not going to be inexpensive; I never said this was a site only about cheap and cheerful. 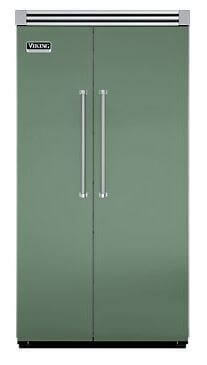 Did you know that Viking bought the famous St. Charles steel kitchen cabinet brand a few years ago, and is marketing these steel kitchen cabinets again today? 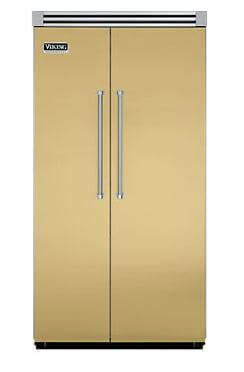 The cabinets are so expensive they won’t even tell me how much a single one costs. 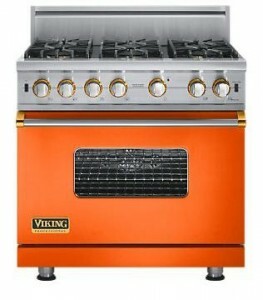 Hey: If I were rich rich rich enough to afford a kitchen full of Viking appliances, you can bet I’d be getting the colors. My favorite right this very moment is the harvest gold. What about you? 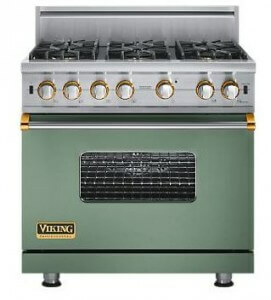 What Viking color would you choose? These are all wonderful! 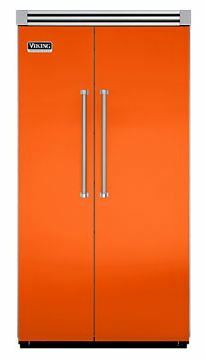 The orange is my favorite, although I wish they made a bright yellow, as I’d want to mix/match at least 3 colors. 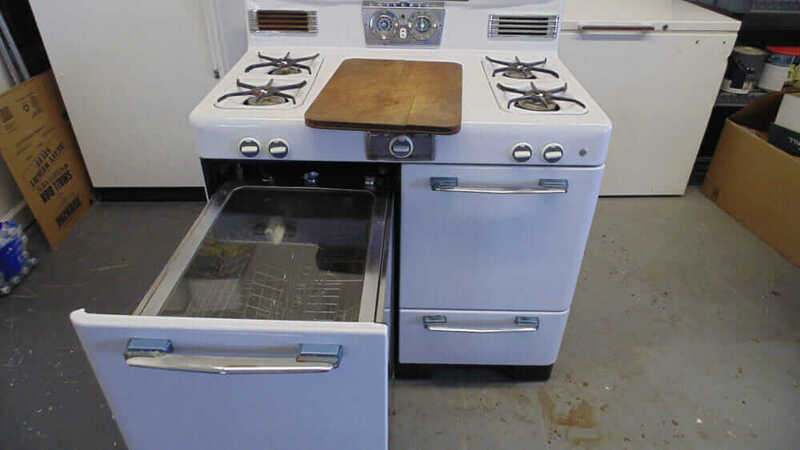 Somewhat to my chagrin, our wonderful 1953 house had a new granite/stainless kitchen installed a year before we bought it, so no new Viking for me! But I’ve retro-ed it up by adding lots of color: vintage mixing bowls, Fiestaware, colorful utensils & towels. I would love to add a brightly colored toaster oven–does anyone know a brand that makes these? 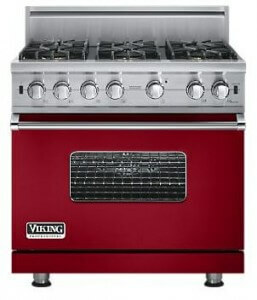 I have a bright red toaster, but my finance demands a small oven and I hate to add yet more stainless….all ideals welcomed! Thanks. I was not sure where to place this estate sale notice for a Frigidaire Custom Imperial Stove in Bloomington MN. 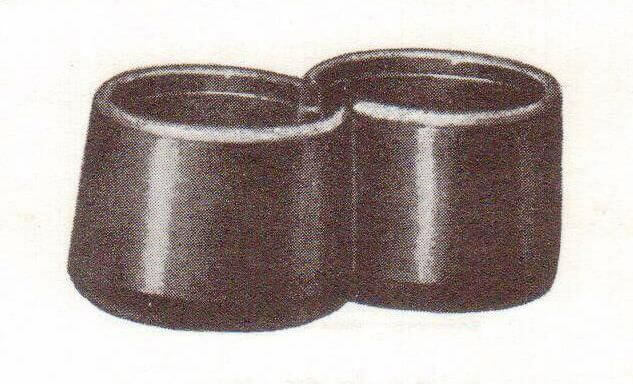 here is a link to the estate sale’s website. Hope someone is looking for this! Thanks! That sure is a sweet Flair!